Antonio Damasio is University Professor, David Dornsife Professor of Neuroscience, and Director of the Brain and Creativity Institute at the University of Southern California; he is also an adjunct professor at the Salk Institute in La Jolla, California. Damasio has made seminal contributions to the understanding of brain processes underlying, emotions, feelings, decision-making and consciousness. He is the author of numerous scientific articles (his Web of Knowledge H Index is 83; over 32,000 citations) and his research has received continuous Federal funding for 30 years. He is the recipient of many awards (including the Grawemeyer Award, 2014; the Honda Prize, 2010; the Asturias Prize in Science and Technology, 2005; and the Signoret Prize, 2004, which he shared with his wife Hanna Damasio). 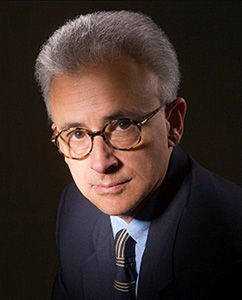 Damasio is a member of the Institute of Medicine of the National Academy of Sciences and a Fellow of the American Academy of Arts and Sciences, the Bavarian Academy of Sciences, and the European Academy of Sciences and Arts and since 2014 he is honorary member of the NMSBA (international association for neuromarketing). He has been named Highly Cited Researcher by the Institute for Scientific Information, and also holds Honorary Doctorates from several Universities. He has described his discoveries in several books (Descartes Error, The Feeling of What Happens, Looking for Spinoza. and Self Comes to Mind) translated and taught in universities worldwide.